1. 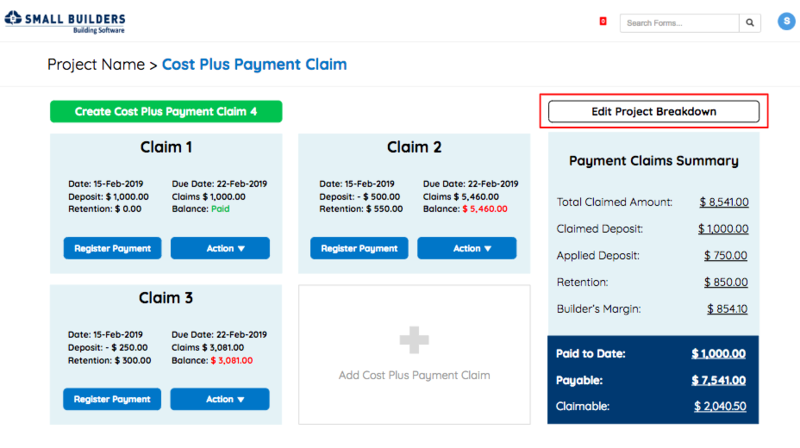 From your Payment Claim Dashboard, click on the Edit Project Breakdown button and then select the Project Employees tab. 2. Update the Sell Rates directly on the table then hit Save. 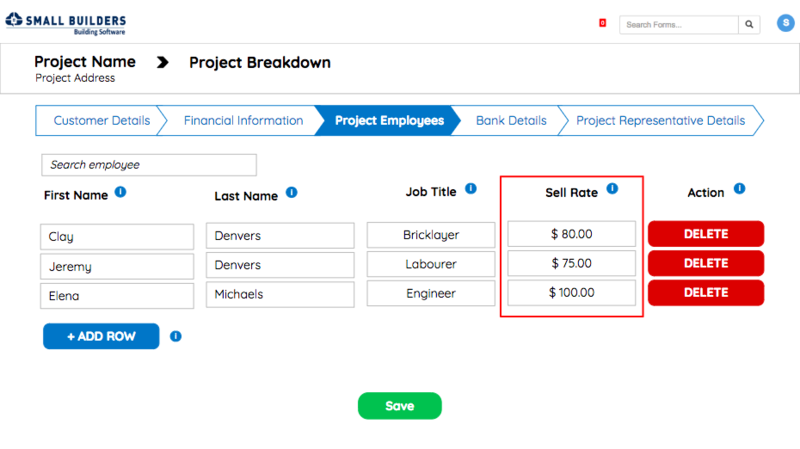 The Sell Rate column on the Project Breakdown automatically populates the Rate Per Hour column of the Cost Plus Payment Claim Labour Cost table. 3. You can also update your employees' hourly rates from the Payment Claim Form. 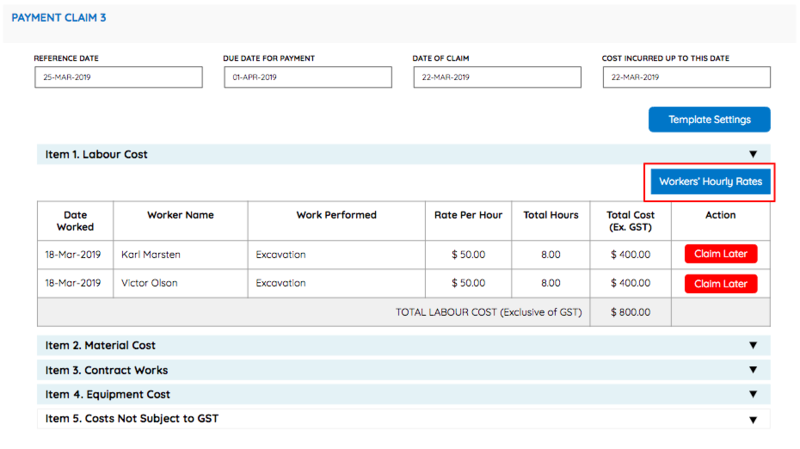 Click on the Workers' Hourly Rates button above the Labour Cost table and update the Rates directly from the Workers' Hourly Rates Modal - under the Sell Rate for this Project column. 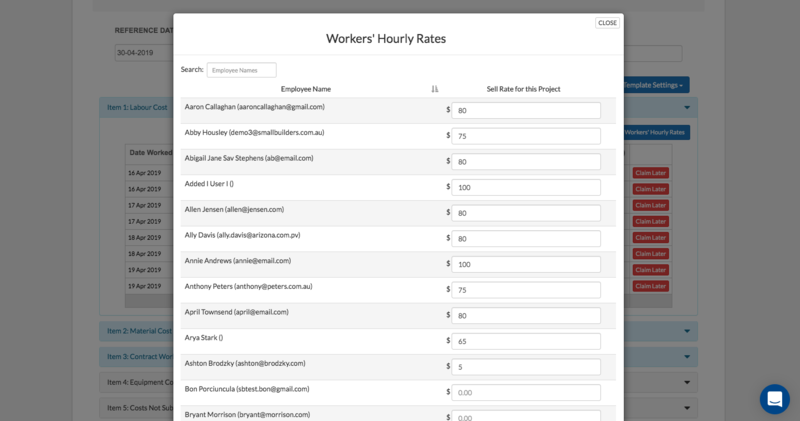 Changes to the Sell Rates from the Workers' Hourly Rates Modal automatically reflects on the Rate Per Hour column of your Labour Cost table and on the Sell Rate column of your Project Breakdown - Project Employees tab. Updating a rate directly from the Labour Cost table will not update your employees' hourly rates on the Project Breakdown or on the Workers' Hourly Rates Modal. This is allows you to set different sell rates for one employee for different cost centres.